What is the cheapest way to get from Copenhagen to South Jutland County? The cheapest way to get from Copenhagen to South Jutland County is to bus which costs 110 kr - 190 kr and takes 4h 39m. What is the fastest way to get from Copenhagen to South Jutland County? The quickest way to get from Copenhagen to South Jutland County is to drive which costs 260 kr - 390 kr and takes 2h 45m. Is there a direct bus between Copenhagen and South Jutland County? No, there is no direct bus from Copenhagen to South Jutland County. However, there are services departing from Copenhagen and arriving at H P Hanssens Gade v Nørreport via Egevej v Løgumklostervej. 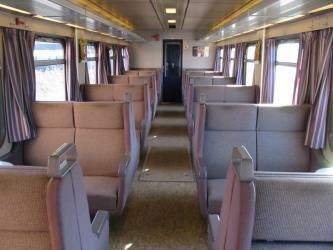 The journey, including transfers, takes approximately 4h 39m. How far is it from Copenhagen to South Jutland County? The distance between Copenhagen and South Jutland County is 211 km. The road distance is 284.5 km. How do I travel from Copenhagen to South Jutland County without a car? The best way to get from Copenhagen to South Jutland County without a car is to train which takes 4h 8m and costs 280 kr - 430 kr. How long does it take to get from Copenhagen to South Jutland County? It takes approximately 4h 8m to get from Copenhagen to South Jutland County, including transfers. Where do I catch the Copenhagen to South Jutland County bus from? Copenhagen to South Jutland County bus services, operated by FlixBus, depart from Copenhagen station. Train or bus from Copenhagen to South Jutland County? The best way to get from Copenhagen to South Jutland County is to train which takes 4h 8m and costs 280 kr - 430 kr. 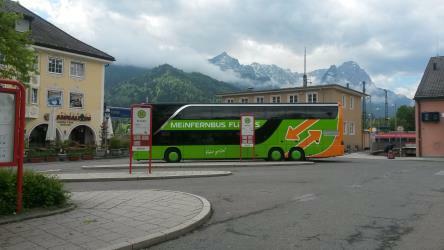 Alternatively, you can bus, which costs 110 kr - 190 kr and takes 4h 39m. How long is the flight from Copenhagen to South Jutland County? The quickest flight from Copenhagen Airport to Sonderborg Airport is the direct flight which takes 45m. Where does the Copenhagen to South Jutland County bus arrive? 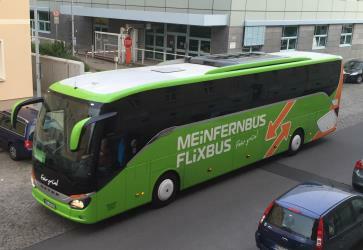 Copenhagen to South Jutland County bus services, operated by FlixBus, arrive at Aabenraa station. What companies run services between Copenhagen, Denmark and South Jutland County, Denmark? You can take a train from Copenhagen to South Jutland County via Fredericia St., Rødekro St., Rødekro St., and H P Hanssens Gade v Nørreport in around 4h 8m. 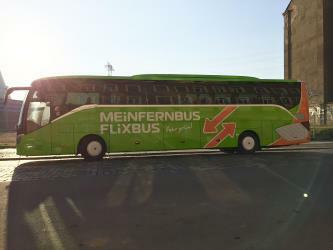 Alternatively, FlixBus operates a bus from Copenhagen to South Jutland County twice daily. 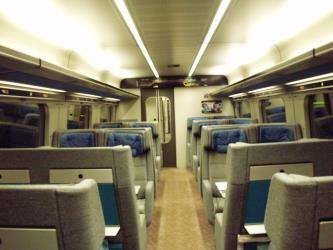 Tickets cost 100 kr - 180 kr and the journey takes 3h 50m. 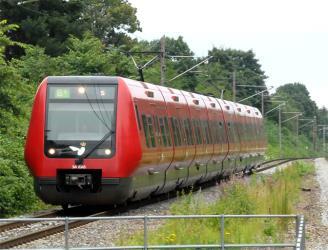 Train from Fredericia St. to Rødekro St. Train from København H to Kolding St.
Can I drive from Copenhagen to South Jutland County? Yes, the driving distance between Copenhagen to South Jutland County is 285 km. It takes approximately 2h 45m to drive from Copenhagen to South Jutland County. Which airlines fly from Copenhagen Airport to Sonderborg Airport? FlexFlight ApS and Air Alsie offer flights from Copenhagen Airport to Sonderborg Airport. Where can I stay near South Jutland County? There are 530+ hotels available in South Jutland County. Prices start at 395 kr DKK per night. Gråsten Palace (Danish: Gråsten Slot) is best known for being the summer residence of the Danish Royal Family. It is located in Gråsten in the Jutland region of southern Denmark. The main house has a modern, all-white facade, with Venetian doors opening onto sweeping, manicured lawns and gravel walkways. The grounds include a huge stables court. Dybbøl is a small town with a population of 2,495 (1 January 2014) in the southeastern corner of South Jutland, Denmark. It is around 6 km west of Sønderborg. The Hærulf Runestone is a Viking Age runestone located north of Hovslund's station in Southern Jutland, Denmark. Nordborg Castle (Danish: Nordborg Slot) is a small castle which lies on the southern side of Nordborg Lake in Nordborg on the island of Als in Denmark. The castle premises are currently used as a boarding school. Rome2rio makes travelling from Copenhagen to South Jutland County easy. Rome2rio is a door-to-door travel information and booking engine, helping you get to and from any location in the world. Find all the transport options for your trip from Copenhagen to South Jutland County right here. Rome2rio displays up to date schedules, route maps, journey times and estimated fares from relevant transport operators, ensuring you can make an informed decision about which option will suit you best. Rome2rio also offers online bookings for selected operators, making reservations easy and straightforward.